This list has its own individual pages from its respective show wiki! See the Miraculous Ladybug Ladybug category from the Miraculous Ladybug Wiki. Miraculous: Tales of Ladybug & Cat Noir (also named LadyBug or Lady Bug, Miraculous, or Miraculous Ladybug) is a CGI animated French series under the ZAG Heroez brand. It is a co-production by ZAG Animation, Method Animation, Disney Channel EMEA, Toei Animation, SAMG Animation, SK Broadband, PGS Entertainment and AB International Distribution. It premiered around the world starting in fall of 2015. The show was formerly licensed by and premiered on Nickelodeon in the United States, with Netflix currently holding the series and online streaming rights. The first season has 26 half-hour episodes and a 10 episode web series, with additional web exclusive content released afterwards Jeremy Zag announced that a second and third season are being worked on. Plans for a fourth and fifth season were also revealed. [In] modern-day Paris, Marinette and Adrien are two high school kids with a difference: they are the chosen ones to save Paris from evil! They have been entrusted with an important mission – to capture akumas, creatures responsible for turning normal people into super-baddies. When involved in such adventures, these two school kids become superheroes: Marinette transforms into Ladybug and Adrien becomes Cat Noir. But Ladybug and Cat Noir do not know each other’s true identity. Marinette is unaware that, beneath the Cat Noir costume nestles Adrien, her secret crush. Similarly, Adrien doesn’t know that Ladybug is, in actual fact, just Marinette – one of the girls in his class. Marinette Dupain-Cheng (voiced by Cristina Vee) is one of the main protagonists of the series. Marinette is a student in Miss Bustier's class at Collège Françoise Dupont in Paris, France. She is also a budding fashion designer. With the Ladybug Miraculous, when inhabited by Tikki, Marinette transforms into the superheroine Ladybug, gaining the power of good luck and creation to stop Hawk Moth and his Akumatized villains. Adrien Agreste (voiced by Bryce Papenbrook) is one of the main protagonists of the series. Adrien is a student in Miss Bustier's class at Collège Françoise Dupont in Paris, France. He is also a fashion model for his father's brand. With the Cat Miraculous, when it is inhabited by Plagg, Adrien transforms into the superhero Cat Noir ("Chat Noir" in the French version), gaining the power of bad luck and destruction to stop Hawk Moth and his Akumatized villains. To view the full list of books that release specifically for Miraculous: Tales of Ladybug & Cat Noir, go to its own wiki's "Chapter Guide" page. Miraculous has had a collection of comic books planned and released in both the United States and worldwide. The first of these comics released on July 6, 2016, adapting television episodes into the comic book format. Miraculous Adventures, the first original comic release, officially debuted on July 19, 2017. This is the first show to be released under the ZAG Heroez brand. It's also the first ZAG Heroez show to have its own merchandise from the ZAG Store, comic series, soundtrack, and web series. Miraculous is also the first ever ZAG-produced project to be nominated and won a Teen Choice Awards. Every episode is named after the titular supervillain with the exception of the first Origins episode, which is named after the two main characters. It takes one entire year to finish an episode, and many episodes are usually being worked on at the same time. 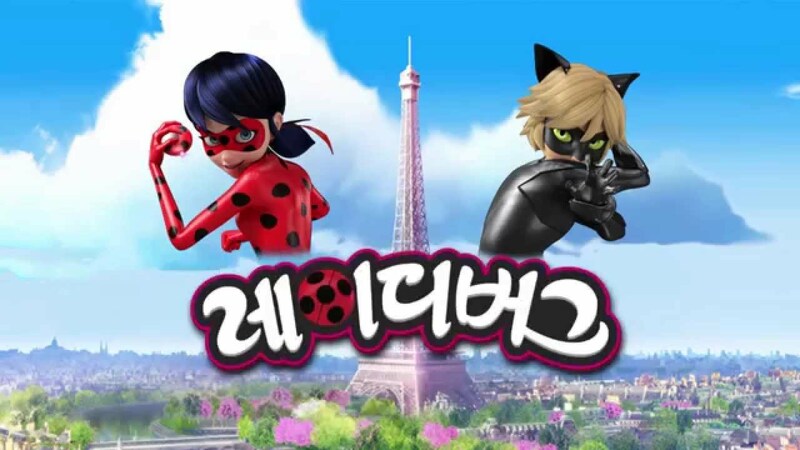 In South Korea, the show is simply titled Ladybug. The EBS version of the logo also varies from the original one and is based off a conceptual logo for the series. As of March 2016, Miraculous has been broadcast in over 120 countries. Despite being a primarily French animated series, the show was lip-synced to English audio. The Miraculous team chose to do this in order to make the series more marketable in the US. During the series's Netflix debut in February 2017, it ranked #4 in popularity among children's shows, managing to drive a 10% share. According to series director Wilfried Pain, all episodes of the upcoming Season 2, Season 3, and the Miraculous Ladybug OVA "were written at the same time... [and] also written one by one." Astruc is planning for the series to have six seasons or more. As of September 2017, three seasons have been ordered, and a fourth and fifth season are being planned. Season 1: "The Origins Story" • "Volpina"
Season 2: "A Christmas Special" • "The Collector" • "Sapotis" • "The Queen's Battle" • "Malediktator" • "Heroes' Day"